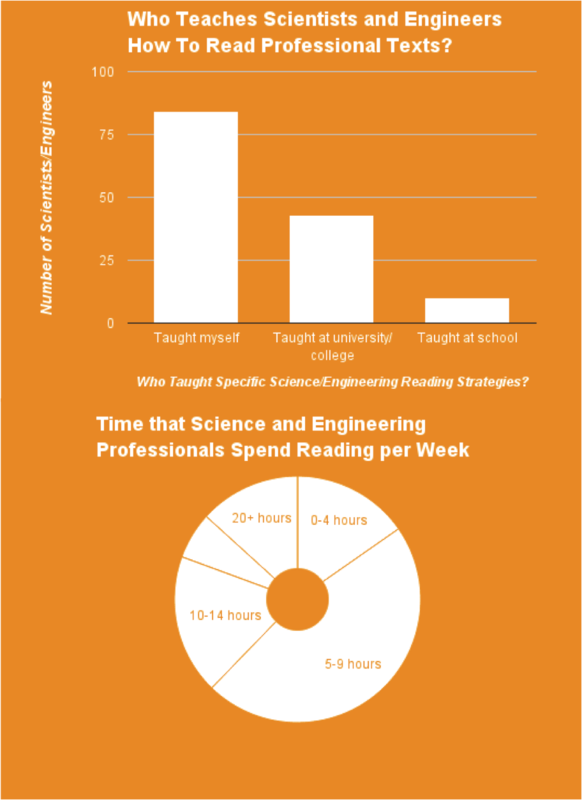 The amount of time spent reading by scientists and engineers and who taught them. I wanted to know how scientists and engineers learnt to read professional texts, so I asked some. 100 professional scientists and engineers responded. The Royal Society of Chemistry asked me to write a blog about the results and here it is. Many thanks to David Sait (@RSC_EIC) and the editing team at Education in Chemistry.